In this week’s blog, I write about the AWICS Housing News, Housing in St. Petersburg in the Russian Federation, Service Charges in London and Health and Social Care integration in Scotland. I was prompted to write the article about Housing in St. Petersburg during a recent visit to Russia. 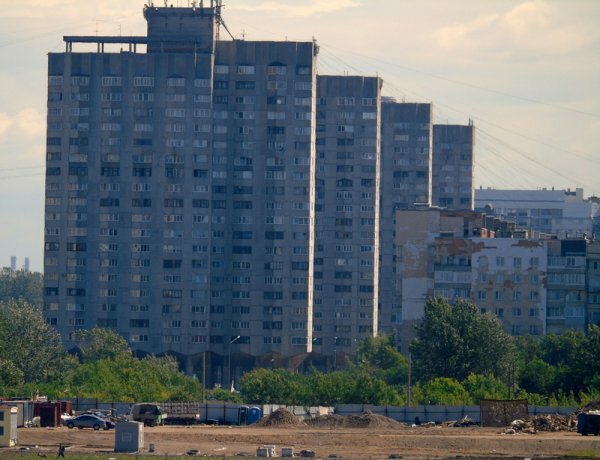 My perception is that a high proportion of housing in St. Petersburg is still poorly maintained; and it appears to me that the current approach in the Russian Federation is unlikely to address this issue adequately. A focus during most of the twentieth century on the public provision of rented housing at low rents for working families. A shift towards privatisation in the late twentieth century that occurred in Britain after the 1979 election and in Russia after the fall of the Soviet system in 1991 and that in both countries included offering tenants a ‘right to buy’ with the Russian approach being the more radical. Furthermore, in both countries the policy was motivated by a wish to reduce the liabilities of central government for housing maintenance. A shift from a system based on low rents to one based on ‘housing benefit’ that has gone a long way in Britain but has made limited progress in Russia. A recognition in the 21st century that the market approach is not providing sufficient housing or sufficient resources for maintenance resulting in an increased role for municipalities but concerns remain about whether municipalities are adequately resourced. The integration of health, social care and housing is generally recognised as essential but in practice progress in achieving it is being slow in all parts of the United Kingdom. Last week, the Chartered Institute of Public Finance & Accountancy’s integration group that is comprised of Scottish integration authority chief finance officers complained to the Scottish Parliament’s Health and Sport Committee that, due to the significant pressures on the sector, only limited resources are available to support health and social care integration in Scotland. They claim that after the living wage and other fixed commitments, there is not enough funding available to fund the integration of services in the long term. This resource issue is also intensified by the reduction of local authority and health settlements and the pressure on the sectors to deliver savings. The group recommends that to support the integration agenda financially, there needs to be a long-term financial strategy established by the Scottish Government; and that in planning for this, the government should examine whether integrated authorities should receive a direct allocation of funding to maintain progress.